At MOLLY MAID of Southwestern Charlotte, Fort Mill & Rock Hill, we’ve been providing residential maid services to Charlotte, Fort Mill, Waxhaw, Rock Hill, and the surrounding area residents for over 11 years. We specialize in professional house cleaning and carpet cleaning services that revolve around our clients in South Charlotte, Southern Mecklenburg County, York County, Northern Lancaster County, and Western Union County. When it comes to cleaning, you can trust the Charlotte House Cleaning professionals at Molly Maid. We provide our customers with peace of mind about having their home cleaned. We will send a team of two fully trained home service professionals to your home. We work with our customers to accommodate their needs. Whether you are looking for carpet cleaning, regularly scheduled home cleanings, or are in need of a one-time clean for those customers moving-in or moving-out of their home, we can customize a cleaning plan that’s perfect for you. Satisfaction guaranteed. Give us a call today and see why we are Charlotte’s maid service of choice. 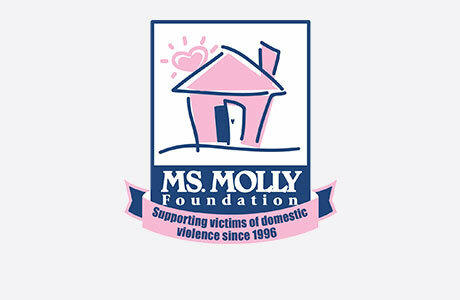 Not only do we provide Charlotte home cleaning services, but MOLLY MAID of Southwestern Charlotte, Fort Mill & Rock Hill is also active in the local community. We are members of the Charlotte Better Business Bureau with an "A" rating, and we also support Safe Alliance, which is a domestic violence shelter in Charlotte. If you have additional questions about our Charlotte maid services, please feel free to give us a call at (704) 413-4792. Request a free in-home estimate and learn why your local Molly Maid is the most trusted name in house cleaning. How will you access our home if no one is home? We ask that customers provide a key that we will keep in our lock box at the office. The day of the clean, we check the key out to the team leader and she checks it back in that afternoon. If you have an alarm system, you can call the alarm company and they can tell you how to set a guest code for us. This code can be active all of the time or only on the days that the team is scheduled to come. How do you clean my hardwood floors? Our teams will vacuum your floors first. Our vacuum cleaners have a switch which turns off the brush roller when vacuuming non-carpeted floors. Then the team will mop your floor using microfiber mops and our hardwood floor cleaner, Full Court. Full court has a soapy base, so it cleans your floor and restores shine. We prefer not to use products such as Orange Glo because, though they make the floors super shiny, over time they develop a waxy haze. If our customers prefer that we use their hardwood floor cleaning product, we will be glad to do that. No, we feel that it is our job to earn your business with every clean.